To Feralwarlord and InterKarma - Thanks for the frank comments. It looks like I'm dead in the water unless I upgrade to x64. Suggest you consider adding a caveat like 'Does not work with Win x32' in the download instructions for mods or future builds of DFU - assuming the programmer has determined so. Thanks again. Well, I understand the mods to be more or less a work-in-progress, so there may yet be hope for you. To TheLocus (with thanks to Pongo for the zip suggestion) - I am attaching a zip of output_log.txt for my most recent try at loading Real Grass 2.31.. I selected an outside save and tried to load with the resulting crash.. Please take a look and thanks. The log confirms memory allocation is the issue. A quick technical note: this mod uses detail layers with resolution 256x256 that holds the density for each terrain "pixel" (int[,]). There is one of them for every detail mesh: grass, flowers, stones, water plants etc. Depending on what you choose in mod settings, you can use from a minimum of one (the grass) to up to 9 layers. All of this is to be multiplied for the n terrains you see in game. * Disable all optional features and keep only grass. * Toggle off "Realistic grass" option to disable textures by VMblast (right now i setup three layers for one base + two random textures per terrain) and fallback to Uncanny_Valley textures (only one layer per terrain). Thanks Locus, that did the trick! 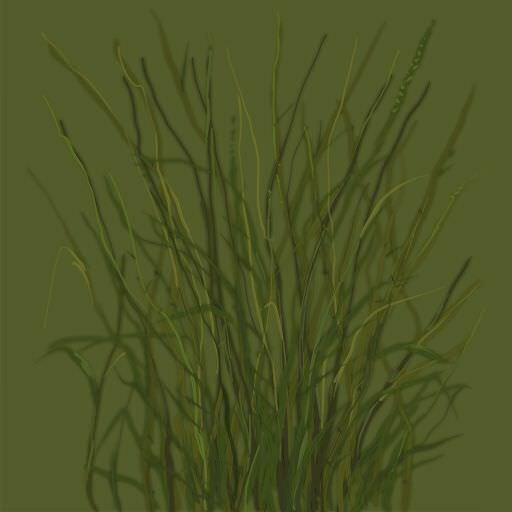 Turned off everything except grass and set detail distance to 99 (no realistic grass) and now I have lots of short grass - which is better than a flat green surface! Thanks again. Tho I have just one comment that needs addressing. 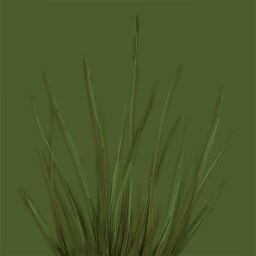 Please keep textures in the original aspect ratio, as well scale (scale between all the grass plants). Hey VMblast, thank you for your comments, i'll make use of them! It's to note that grass size changes during the in-game year: max size is for summer, while it grows from a minimum size (and density) from winter-spring and then go back to it for fall-winter. I'm going to try to keep this behaviour while using the correct width-height ratio you pointed out for individual textures. Hey thats awesome feature. I didnt know that you've made grass that grows. Really great work!! Yeah, than its just about aspect ratio, just keep an eye on that. Thanks. Thank you for your notes VMblast, i'm working on it. Since I'm struggling to keep the fps good, billboard grass was a tradeof I often used. Just something I noticed: If I set grass height to anything higher than 1, the grass becomes extremly high. The default settings have a min/max height of 65 (which is extremly high) -- I struggled a few days with that before I simply tried what happens when I change min/max height to 1. Then the grass looks good. A screenshot would probably help here. Awesom job, thank you. The only thing that is poking my eyes is somewhat my responsibility -colors dont match, I would have to tone them down a bit so they would better blend in with the DF texture sets. I just wonder if this is intended, or if the higher values used in the preset should give me a different result. (I'm on Linux, using the latest official pre-alpha from January).